The great-slug-hunt of 2016 began yesterday. In 60 short minutes, my intrepid 8 year old friend Charlie found no less than 17 snails squirming around my allotment. This morning, after a day of wet weather, I popped back and counted at least a further 10! 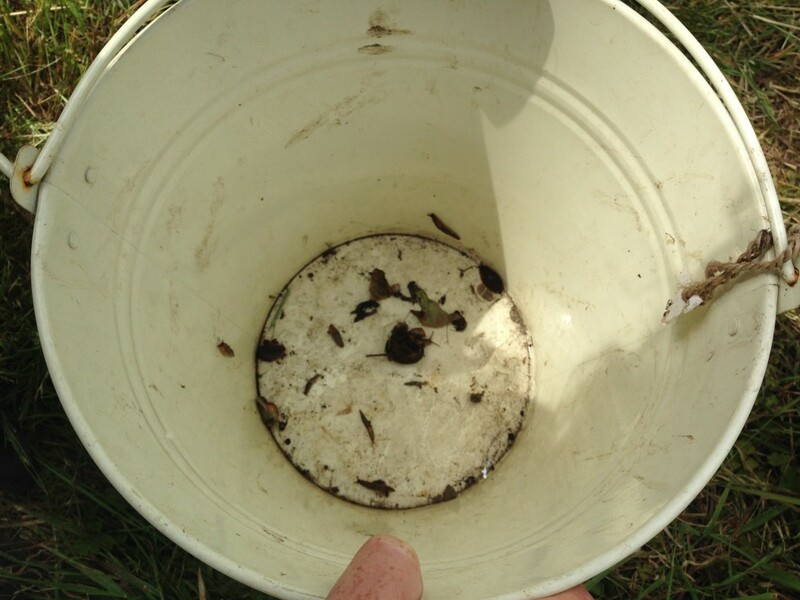 This is a plague of slugs – some of them are as big as a pritstick, others are tinier than my little fingernail. At this rate, Charlie could have a thriving business on his hands. After nearly half a year of stress and nonsense, we finally completed on our new house yesterday! Very soon we will be Bearwood bound – where I am reliably informed that the slugs are endemic. I am warned and prepared. With all of the house-buying, work and travels, it’s been an age since I posted a recipe. 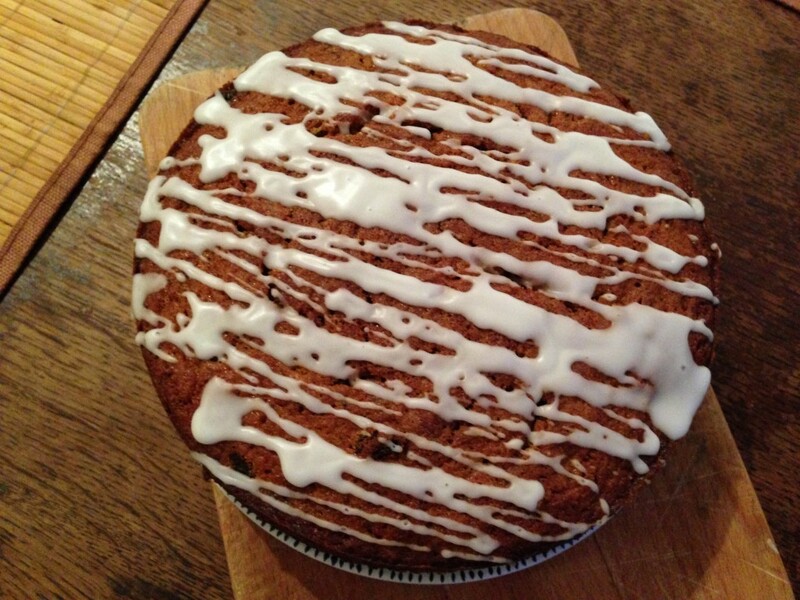 Today’s offering is a spiced carrot cake, flavoured with black tea (yes really), cardamom and ginger. Although the list of ingredients is long, it’s actually pretty simple to make – simply mix your wet ingredients with your dry ingredients, then bake. It’s soft, moist and packs a punch of flavour…plus if it’s got carrots in it, I think that counts as one of your five a day. Maybe. Preheat the oven to 180c, then grease and line an 8-inch round tin. Grate the carrots and lemon zest into a bowl, and stir in the dried fruit and nuts. In a separate bowl, sift together the flour, baking powder and spices. Melt the butter in a microwaveable jug, then whisk in the eggs and sugar. Using a wooden spoon, stir the eggy mixture into the carrots, then fold in the flour. Pour the lot into your pan and bake for about 40 minutes, until a skewer comes our clean. Cool in the tin, then decorate with a simple drizzle of water icing.